﻿Beautifully constructed from ash and aluminium, the Waterrower A1 Home has to be one of the most pleasing on the eye. But you don't buy a rower just to look good in your home. So how does it rate as a rowing machine? In short, it's a superb rower that's let down by a basic monitor. The rowing position is very comfortable with its well-designed foot pads, ergo-handles and a wonderful padded seat. The single aluminium beam makes for a quiet and smooth action - even when at high stroke rates. As the name suggests, the Watterower uses a water resistance mechanism to provide the resistance. Most rower use air or magnetism to give you something to pull against and work your muscles and cardio-vascular system. You can change the resistance levels by adding or draining the water. Some may prefer to press a button or move a slider to do this, but in our view, you can't beat the swish of the water as you pull back on the handle. So let's move onto what may be a deal-breaker for some. If there's one moan we have, it's this. Unlike the S4 monitor fitted the Natural, the A1 monitor is very basic and sadly, it's not compatible with a heart rate monitors - so no heart rate programs are possible, which is a big disappointment. Yes it's easy to use, but that's because it doesn't do that much. 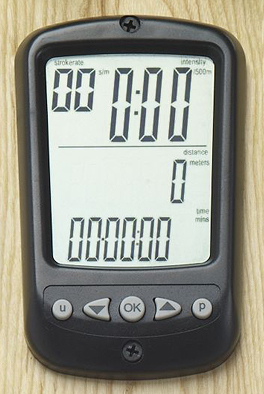 It displays the standard workout data such as time, distance rowed, calories used, stroke rate etc, but it has no PC interface and other features such as intervals that you'd find in most models in this price range. 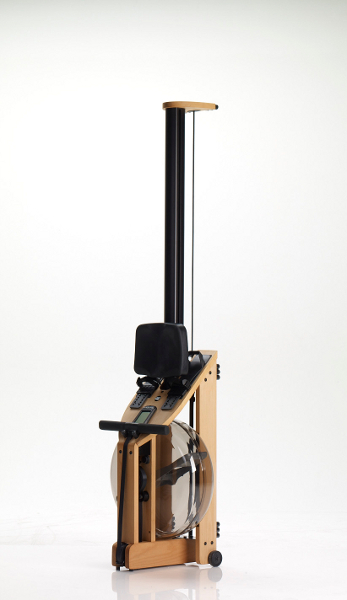 The Waterrower A1 is a real beauty, The build quality and materials used make this a pleasure to use and this in itself gives you the motivation to train. The resistance with even just half a tank of water is a challenge for most rowers. However, the basic A1 monitor is a disappointment with its limited features and no pulse programs. If you love gadgets and hi-tech machines, this maybe isn't the machine for you - check the 'also worth a look' for other recommendations. 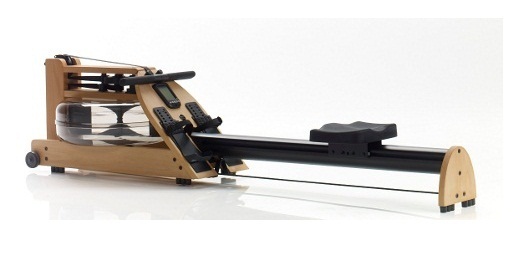 But if you're not planning on being an elite rower and looking for a machine that will last for years (and look great in your home), this is a good choice. Light and easy to store when not in use. We've already mentioned the Waterrower Natural with it's superior functions and programs, other water machines include the ProRowe RX-750, RX-950 and First Degree Neptune and we've just reviewed the H2O Seattle.